10 days until christmas eve. at least in the have you bought/made all your gifts yet? it is what it is, though. a little christmas zen for you. i am so not ready either, going to finish shopping tomorrow...it will get done, it will and it always does. i am so not done. and i'm getting busier, at work, by the day. it's gonna be ugly. :) in my world, zen happens dec. 26th. lol! i know! although we will be done before you - our busy-ness ends at the end of school semesters. almost there!! every year....the same thing. darn it. why do i do this to myself.....arrghhhhh. Pretty place here. Came via Elk. I see a lot of familiar faces here. In my case, bought too. And hey, we've still got 10 days. We can do it. i'm not letting it bother me. i have bigger fish to fry. Christmas should be enjoyable darnit, and i plan to do just that. so i may skip putting ribbons and bows and just slap a tag on there. hey-it does NOT mean i don't care. the best part of the holidays is the time spent. everything else is just a bonus. 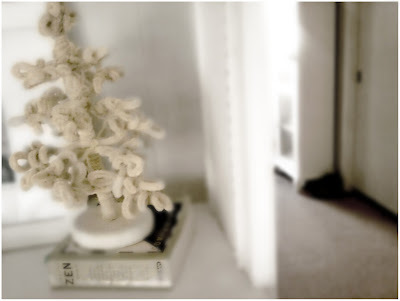 i loved, loved, loved your feature in artful blogger. i just read it last night. it was fascinating to hear about your blogging journey, and the discoveries that have come with it. you are an artist down to your core, your medium is everything. i loved the idea of the photo as the first sentence. gorgeous. Love the photo, starting to feel a little stressed as we inch closer to Christmas. I am not buying or making much this year, so it is fairly easy. Tomorrow I should finish a few little things and then just need to wrap them. Still don't like knowing there is only 10 days. I want to just vegetate for awhile, sit by the fire with a good book and a warm cup of chai or hot chocolate and marshmallows. Can we stop the time just for a few days to do just that? Please! Well,I'm not ready and not stressing either.I have learned to embrace the hustle and bustle of it all. No, absolutely not. School is killer just now and it seems there isn't time for both. Where do you find these adorable little trees? I remember your tiny tree from last year...with just a couple of little ornaments left on it..I think it was a wee little ceramic tree? My memory is questionable, but I do vividly recall how I thought that little thing was perfectly exquisite. And now my heart clings to this little beauty in the same way.